Here I am. Talking to myself! This blog has been a plan for longer than I care to admit. Now I am here. Thinking… What should I say? 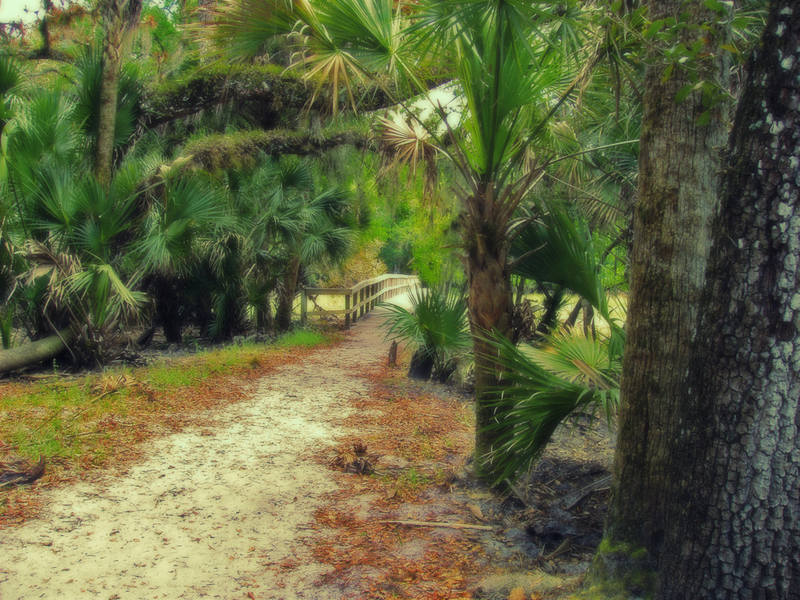 This photo was taken in 2007 while I explored Myakka River State Park in Sarasota, Florida. As I walked (I remember) not knowing what I would find next – and I was eager to find out. Now I realize my photography and mindset while shooting has changed a lot since this was taken. I still like this photo and the way I post-processed it to accentuate details, saturate the colors and give it a soft, dreamy feeling back then. It seems appropriately symbolic now. So I sit here trying to figure out what to say, “What is next?” because I have ideas and projects I want to share. I am inspired everyday by so many other interesting and generous people who share their ideas, work, thoughts, projects and processes. They demystify things that are unknown to me so I can learn, grow and enrich my own world. My hope is that I can do that for you too. And yes, as I write this is only a message to me, myself and I. Surely this journey will be all those things to me. However, my hope is this path will lead me to many other wonderful, interesting people so we can connect. Will it be you? If you would like to see “What’s next?” please connect with me and subscribe here.